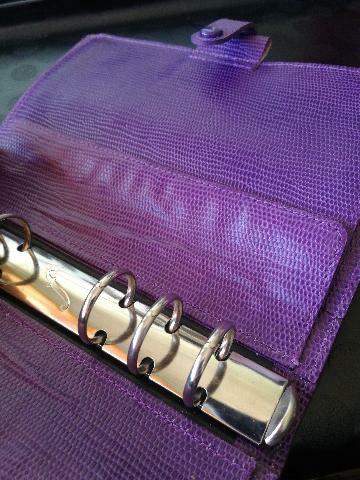 One of my rarest finds to date is this purple 4CLF 7/8 IG (Iguana). 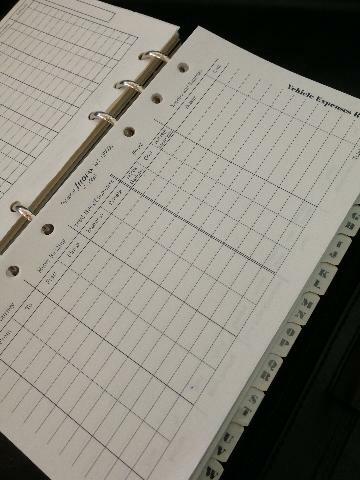 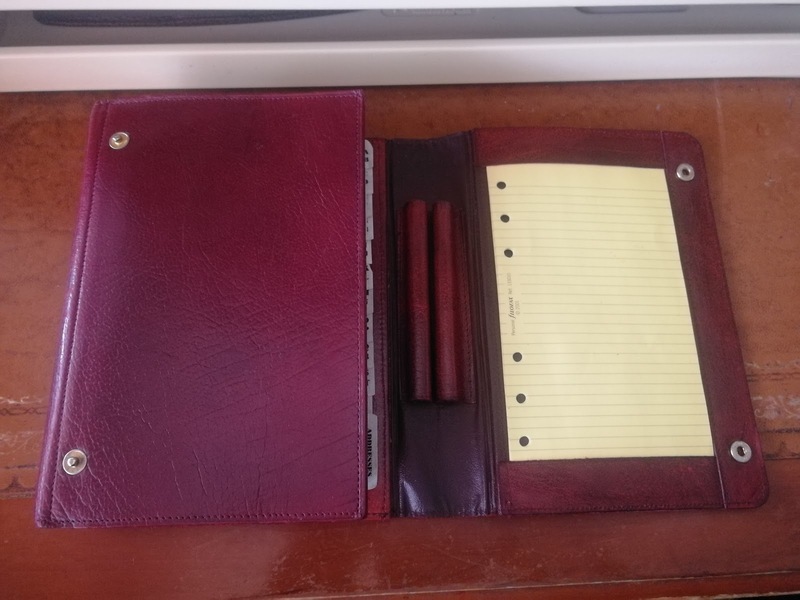 For me it's a real treat to see this beautiful filofax, mainly because binders from the 70's and 80's were mostly black and shades of brown, with the odd green and blue one. 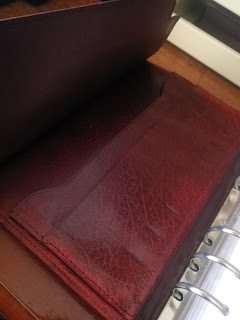 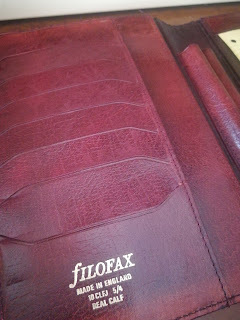 This filofax is in unused condition and is simple stunning, though some evidence of minimal sunlight dyeing to the exterior, but the interior is as near to perfect as it could be. 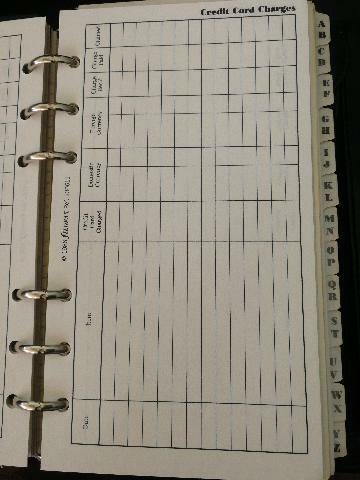 Before everything was linked via WiFi and broadband, keeping track and reminders were naturally written down. 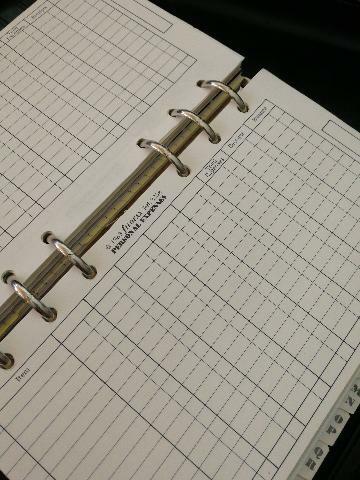 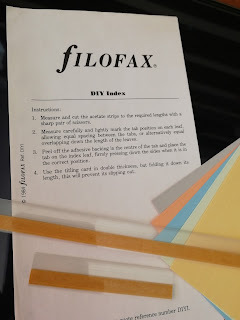 I find many of the vintage filofax or other branded inserts fascinating, probably partly because I enjoy putting pen to paper, and the act of writing it down seems to embed a bit deeper. 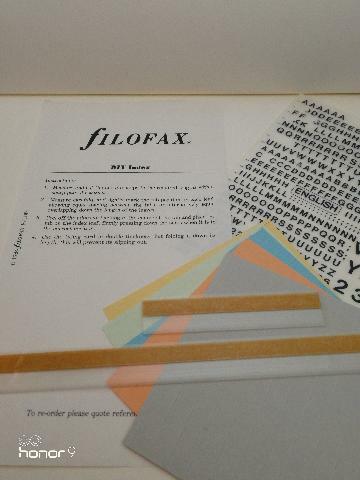 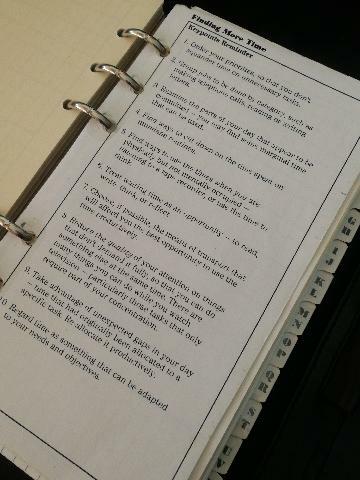 Here are some examples that you just don't see anymore. 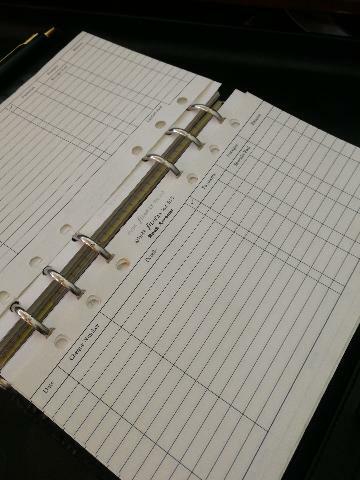 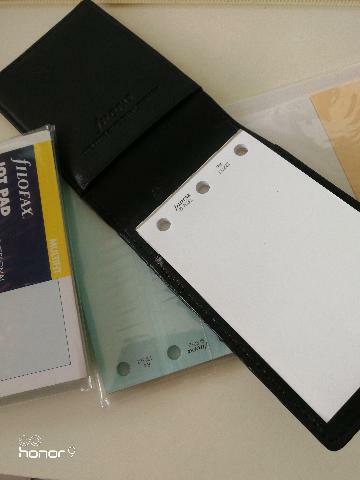 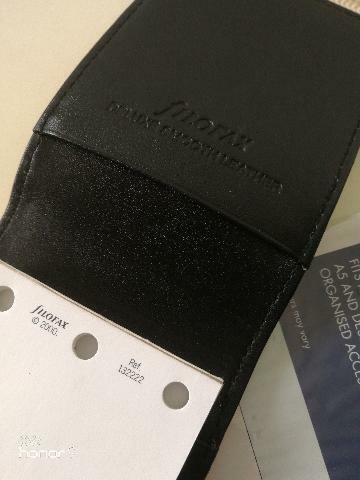 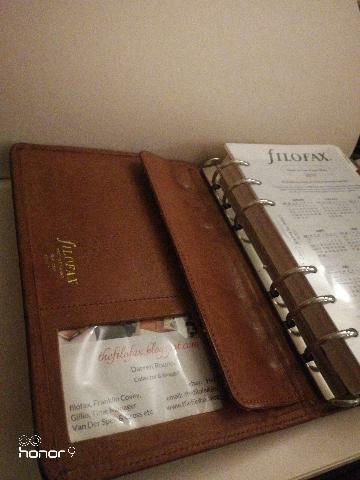 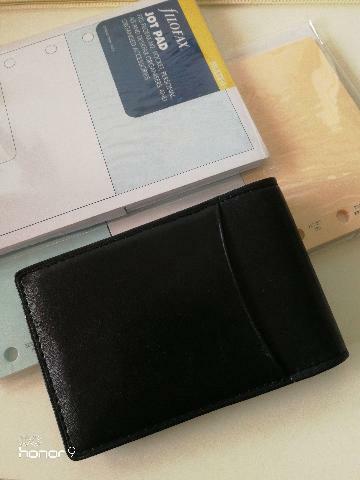 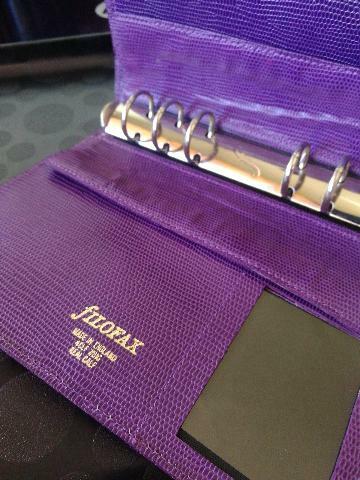 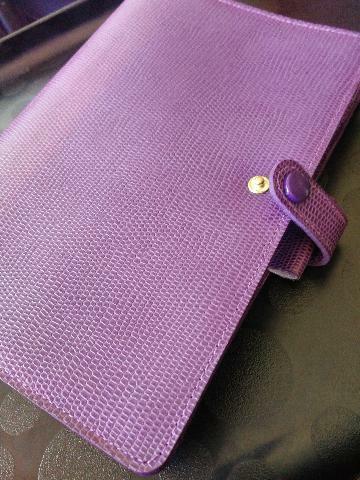 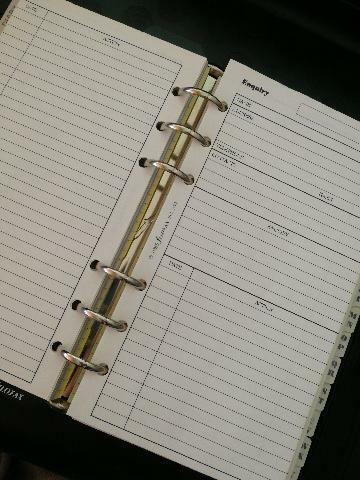 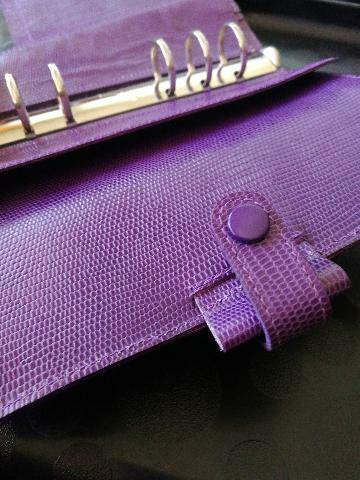 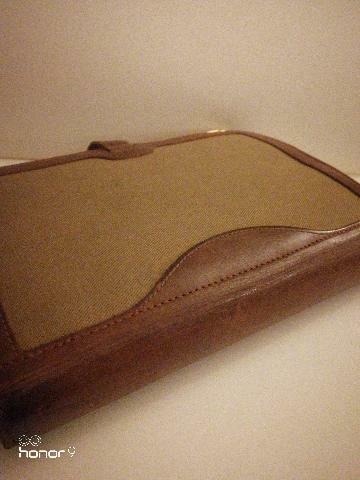 Could this be the smallest leather item from filofax? Deluxe smooth leather jot pad wallet holds up to two jot pads and measures just 95 x 63mm. 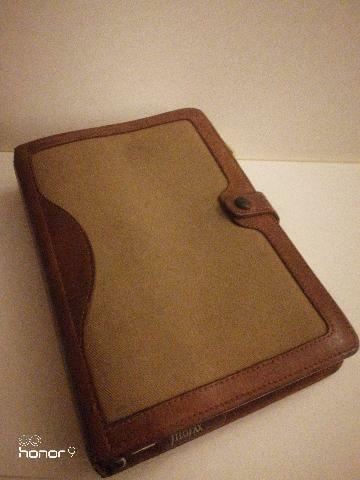 Will fit into any pocket, even a shirt chest pocket. 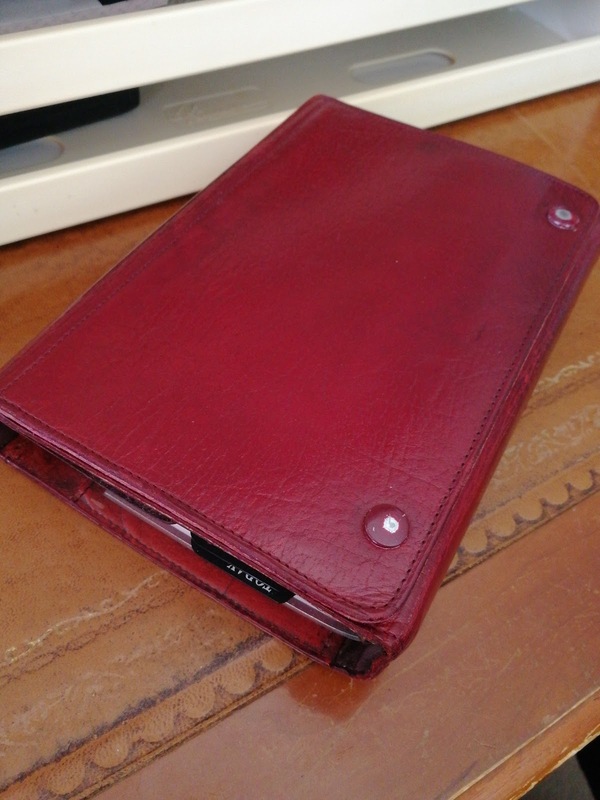 The unstructured deluxe leather has two interior sleeves for the jot pads, though one could be used for a pad and the other for one or two cards, therefore I can see this being useful to me when travelling light. 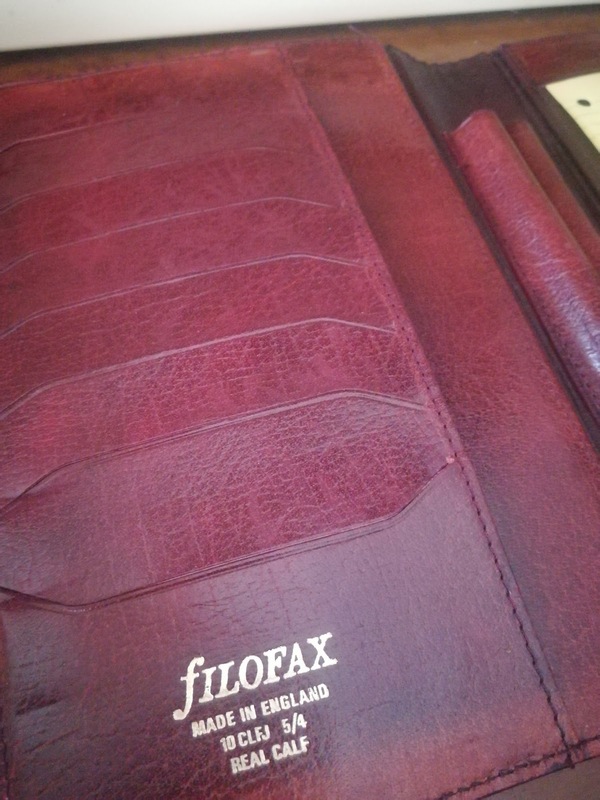 Now and then I come across something from filofax, that I have not seen before and this is one of them, the Billingham 4BLCF 7/8 has calf leather interior and exterior, but as you can see the it has panels on the front and rear of a canvas material. 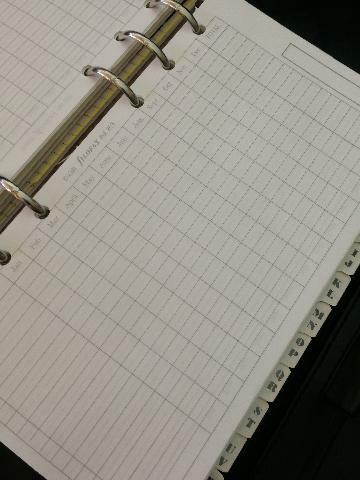 Not too elegant was my first thought and that has not changed much. 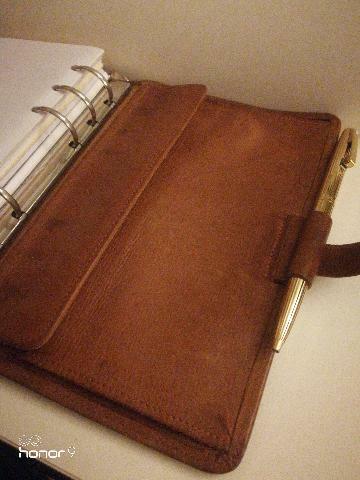 However after refurbishing it and adding some papers, I have started to warm to it. It feels great to hold as has no structure and looks nicely understated. 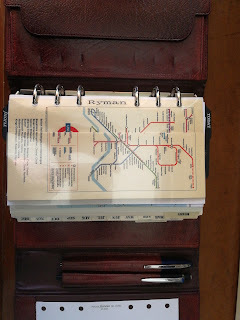 Anyway you can decide what you think, but for now I shall hang onto it.